It is important to keep in mind that this index focuses exclusively on the characteristics of the district, ignoring candidate-specific factors such as popularity, campaign finance resources and the possession of a strong personal brand ideally suited for their district. 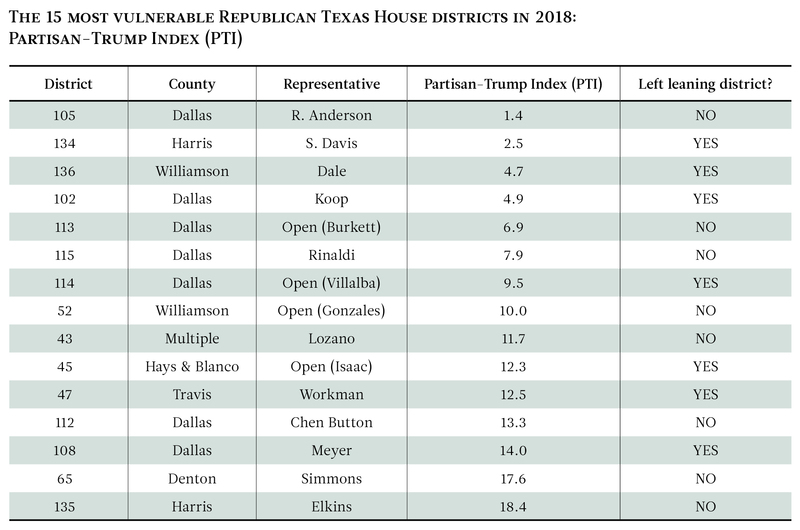 An extreme case is HD-134, where Republican Sarah Davis of West University Place is very popular, enjoys a large campaign war chest and has developed a robust personal brand as an independent voice in Austin that makes her the perfect candidate for her purple anti-Trump district. Thus, while HD-134 would be a very vulnerable district for a generic Republican, Davis’s traits make her the favorite this fall. 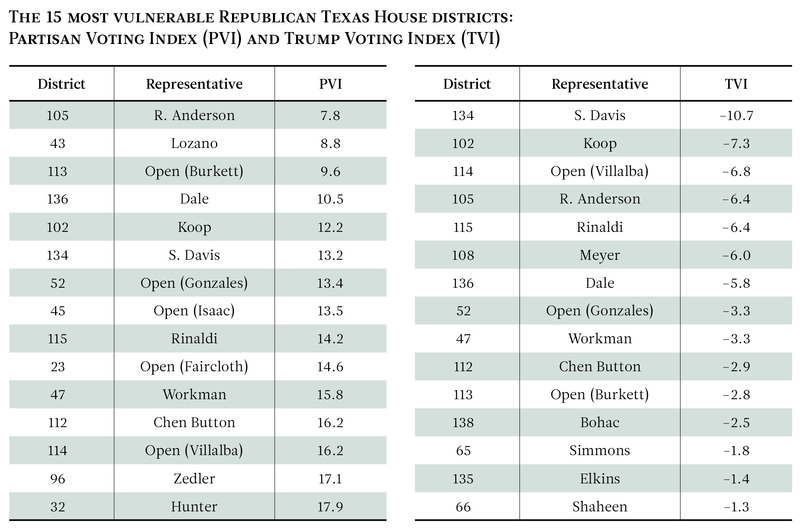 That said, HD-134 is a sui generis case, and the other Republican candidates in vulnerable districts will not benefit from as strong a personal vote as Davis this year. Rice University has been a financial supporter of The Texas Tribune, a nonprofit, nonpartisan news organization that is funded in part by donations from members, foundations and corporate sponsors. Financial supporters play no role in the Tribune’s journalism. Find a complete list of them here.